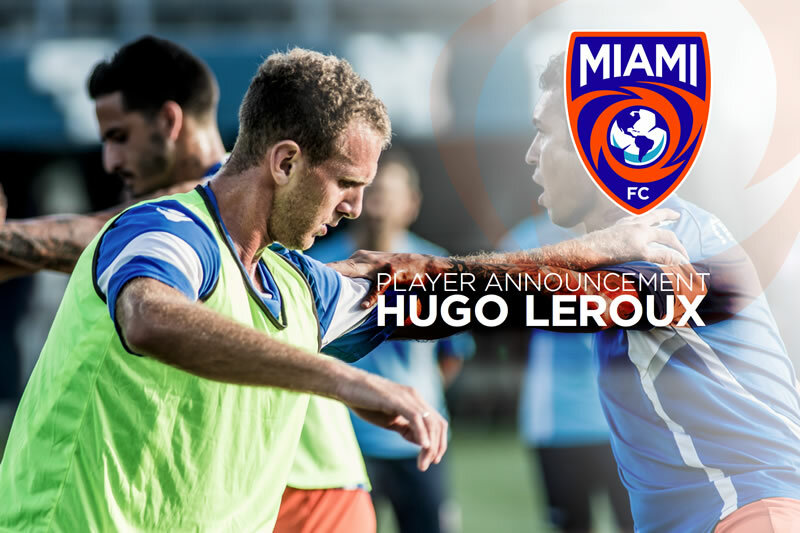 Miami, FLA – Hugo Leroux, Hugo Leroux, French Defender, was part of the FC Miami City’s roster in the 2015 PDL Season. After wining the award of “best defender of the league“, Hugo was confident of his potential. He heads to pros with the team coached by Alessandro Nesta (ex-professional player), as the PDL leads the way “Path2Pro”. Leroux has chosen to join the recent NASL new addition to start his career as a professional player. 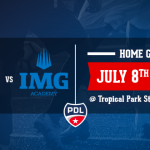 The success of the PDL and the path it creates to the next level, is the reason the Miami FC chose Hugo Leroux this year. Over 70% of the players drafted in the MLS SuperDraft come from the PDL, the league is clearly the first step along the path to becoming a professional soccer player. FC Miami City is no exception. 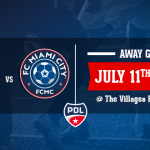 “FC Miami City has had its share of former players move on to the professional ranks after our Inaugural season, last year.” according to President Ravy Truchot. 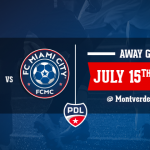 “With former players currently playing in the U.S. (USL Pro, NASL) as well as professional leagues in Germany (Fafa Picault – FC St. Pauli Bundesliga 2), England (Victor Nirennold – Fleetwood Town), and Malta (Florian Mathieu – Qrendi FC), FC Miami City’s only minor league soccer team has certainly paved the way for future pros. The path reached a new level this year with the addition of former FC Miami City players moving on to NASL.” Truchot said. A strong mentality, determination and excellent techniques allowed Leroux to achieve this remarkable goal and we wish him the best of luck in his career. We are proud, as a club, to help our players become pro. Hugo is the Fifth player to sign pro after our 2015 campaign. The coaching staff in charge of the team and the environment in which we train our players foster our talents to go to the next level. Forever part of the Family. Good luck mate! # Hugo began his soccer career at the age of nine at the Montpellier Herault SC (Ligue 1) academy. # 2009 Hugo joined the Montpellier Herault SC U-17s and made one appearance with the reserve team. #2010 he joined the Montpellier Herault SC U-19s where he made 4 appearances with the reserve team. #2011/ 2012, he officially joined the Montpellier Herault SC reserve team for Ligue 1. # 2012 Hugo moved to Spain and joined CD Puertollano, where he made 12 appearances and notched one goal as a defender. #2013 Leroux returned back to his homeland and joined RCO Agde, where he made 25 appearances, added one goal and three assists. #2015 FC Miami City PDL Season, Awarded defender of the year. #2016 Signed pro with the Miami FC and played his first game on Saturday, May 9th against the Tampa Bay Rowdies.